édité le 07/02/2019 - Plus de news de "Sapura Energy" - Voir la fiche entreprise de "Sapura Energy"
OMV Exploration & Production GmbH, a wholly-owned unit of OMV AG, now owns 50% stake in Sapura Energy’s exploration and production (E&P) arm, under a new joint venture company which will be called SapuraOMV Upstream Sdn Bhd, Sapura Energy said in a statement today. “This is a key milestone for both companies as we move forward with our aligned vision of creating a leading independent oil and gas company,” it added. 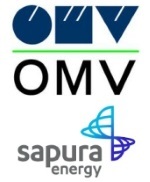 Sapura Energy said it is confident that the partnership with OMV will enable sharing of expertise, knowledge and technology to mitigate risks and reduce capital requirements in relation to exploration and development activities. Sapura Energy is a global integrated oil and gas services and solutions provider operating across the entire upstream value chain, while OMV is an Austrian integrated oil and gas company which is headquartered in Vienna, Austria. The strategic partnership with OMV AG was approved by shareholders at an EGM early this week. Sapura Energy Berhad is a global integrated oil and gas services and solutions provider operating across the entire upstream value chain. The Group’s spectrum of capabilities covers exploration, development, production, rejuvenation, as well as decommissioning and abandonment. With a highly-skilled and technically-capable workforce, strategic world-class assets, and strong project management capabilities, the Group today delivers its integrated solutions and expertise in over 20 countries. Voir la fiche entreprise de "Sapura Energy"
Les dernières news de "Sapura Energy"